There is a plan for another project on the Augustinians at the United Nations. Hopefully, this video project will begin in July 2019. 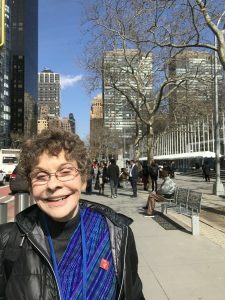 Report on the 2019 United Nations Commission On The Status of Women (CSW63). Women from every country with a UN mission gave a report on the challenges and developments related to the theme. 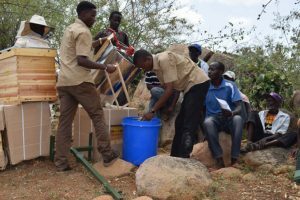 For example, the representative from Nigeria and West African States noted that 66% of their population is young and 55% are women, many in rural communities. With a view to their development, UN Women have awarded hundreds of scholarships in various technical and vocational fields. Other examples: The representatives from the Pacific Islands Forum reported their most significant challenge is from the climate crisis. They affirmed the Paris Climate Accord and told of the need for a greater UN presence, especially in the Northern islands. More women leaders are needed, they reported, in strategies for climate change remedies. Women from the Arab Commission said they would adopt the CSW63 aims. They noted some Arab states have lost the progress they had made. They gave warring areas, terrorism, and immigration as some of the causes for the losses. At a side event I met with members of my high school alma mater, Loretto Academy in El Paso, Texas. 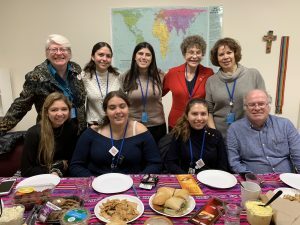 Beth Blissman, Ph.D, the representative to the UN for the Loretto Communities, organized an event with the Loretto high school students who attended the CSW63. The young women are trans-border residents. They have the ability to navigate the different yet integrated languages and cultures of the sister cities of El Paso, TX, USA and Juarez, Chihuahua MX. 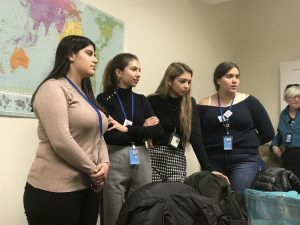 The students said they were very familiar with the migrant situation on our border, but learned to ask an important new question at a UN panel discussion: “Why do the migrants come to the border?” The responses, they said, were eye opening. They learned about the migrants’ historical background in the context of US international relations and policies in the Americas. 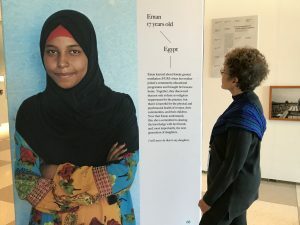 This experience of high school students discovering the deeper reasons that affect us all is a way the United Nations prepares young men and women to enter the globalized world as informed and caring citizens. From my perspective, I cannot over estimate the value of these courageous women in every part of the world to bring about creative change. The experience of seeing them work together is truly awesome. The shocks shook me out of a deep sleep. The blasts sounded like bombs or explosives, but I wasn’t sure. Again the sounds cracked the cold night air like thunder claps. Bam-bam-bam. Then I heard the rumbling of heavy trucks down the cobblestone road outside the walls of my adobe bedroom. The frightening sounds played tricks on my waking mind. I imagined trucks transporting soldiers with machine-guns. My blood turned ice cold, chilling my whole body with fear. Are we under attack? Is the army going to kill more civilians? I made an act of contrition and, for a second, wondered why I had so little faith. In the morning, I asked about the bomb-sounding blasts. A group leader said the sounds were harmless, only the customary fireworks for a birthday celebration. Thus began my ten-day spiritual journey in January 2019 to Central America. 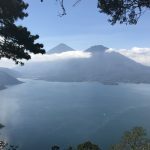 The Maryknoll Society of Priests and Brothers organize an annual pilgrimage retreat for clergy and religious brothers that trace the footsteps of modern-day martyrs in El Salvador and in Guatemala. Our pilgrimage group consisted of seventeen participants from different parts of the U.S. and Canada and five Maryknoll missioners who personally knew and worked with the martyrs. Who thinks of martyrs these days, those men and women from the past who courageously lived and died in service to the people and to their faith? Like the statues and stained glass windows of a church, I discovered that martyrs are found in the memory of the community. Through the eyes and experiences of the suffering poor and the martyrs, this retreat offers an opportunity to reflect on our faith, mission, and relationship with God. The shedding of blood is the context; listening and observing are attitudes the participants need on this retreat. On the first morning, we departed the colonial city of Antigua, Guatemala, and traveled six hours to the San Salvador Cathedral of the Holy Savior in El Salvador. Our first stop was the gravesite of Archbishop Oscar Romero, now saint. A bronze sculpture of the bishop in the state of rest was placed over the tomb. A red marble glass, the size of a golf ball, was inserted over his heart. It indicates his death by an assassin’s bullet in 1980. We then drove to an isolated area in the countryside where the four American female missionaries were tortured, raped and executed that same year. The retreat team then led us to the University of Central America. In 1989, in the middle of the night, at their residence on campus, a death squad killed six Jesuits, their housekeeper and her teenage daughter. By the end of the day, our group was emotionally exhausted. I felt numb and did not know how to think. Each stop was a place visited by evil but also a “holy ground” to be venerated. After several days of reflection on these terrible events, we returned to Guatemala. Our van crossed over a mountain pass that opened to the view of a large, deep blue, lake surrounded by volcanoes. On the shore of the lake lies the town of Santiago Atitlán. Oklahoma City priest, Fr. Stanley Rother, now blessed and the first American martyr, gave his life here in 1981 for his Tz’utujil Maya parishioners. In Santiago Atitlán, we also heard testimonies from survivors of massacres that happened around the country. We heard from the bereaved who lost family members to kidnappers or death squads. Their loved ones were never seen again — their remains thought to be in an unmarked mass grave. In Guatemala, the army launched a murderous campaign of fear and a reign of terror against defenseless natives of the Mayan communities. Throughout the Guatemalan Civil War (1960-1996), an estimated 700 massacres were carried out ending the lives of 250,000 innocent people, mostly Mayas. Always working in the middle of the night and in an inhuman frenzy, the soldiers barged into the thatched roof huts, broke down doors, and killed everything that moved – the elderly, pregnant women, and infants. The slaughter was done in the name of anti-communism, an unfounded accusation by wealthy landowners, military, and business leaders. Church leadership, since colonial times, often sided with the wealthy elite to protect its own interests. Catholic leaders and ministers who helped the poor with their basic needs and preached social justice were targeted. We learned about a bishop, 17 priests, and 2000 catechists were slaughtered because their work with the poor was considered to be subversive activity. To ask questions about the economic and political structures that kept people in poverty was an aggression against the state and labeled as communist activity. Sadly, such accusations of aggression also occurred in El Salvador, in other countries in Central, and in Latin America. 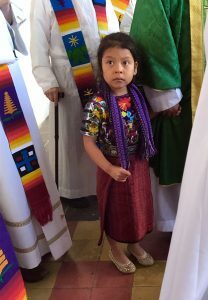 Many courageous people committed to social justice risk their lives – still, to this day — collecting evidence and stories from rural Mayas through the Church’s Office for Human Rights. Why did the army massacre its people? What forces lie behind the hidden story of so much racism and hatred? The Guatemalan government’s systematic violence began in 1954 as a reaction against the “Ten Years of Spring” – a period that included agrarian land reform supported by the previous, democratically elected, administrations. New laws gave poor farmers access to uncultivated land to grow their crops of corn and beans. It was the first legislative attempt to bring Guatemala into the modern era. Signs of progress took root. And yet, the wealthy, powerful few, objected to the direction the country was taking. So, too, did that country in the north. The U.S. government wanted to have nothing to do with such progress; land reform was trumpeted as communist. This was a lie for the sake of economic and political dominance. The truth was that land and agricultural reform were bad for American investments, especially for the interests of the United Fruit Company. Bananas continue to be cultivated with the imposed servitude and blood of indigenous workers. Determined to halt such reforms by democratically elected governments, U.S. political and military involvement in Guatemala had a direct impact on creating conditions for the deaths of thousands of poor people. 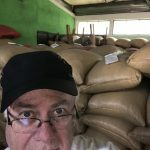 The present-day poverty, assassinations, and corruption are a result of American foreign policy meddling in the political and economic affairs of just Guatemala, but throughout Central America. This is the hidden story of what the U.S. government continues to do in the name of its citizens. These appalling political and economic strategies have been widely documented. “This is an unusual form of retreat/pilgrimage: you will be implicated in their martyrdom, the massacres with those who died, with those who survived and live with the everyday martyrdom of the poor. You dared to walk with them; you are implicated. Now you can tell their story; now you can tell your story.” Maryknoll brother Mary Shea. The martyrs “spoke truth to power” and shed their blood as witnesses to the Gospel in their solidarity with the people they served. The ancient Latin theologian Tertullian wrote that the blood of martyrs is the seed of the church. What have I learned from this pilgrimage experience? 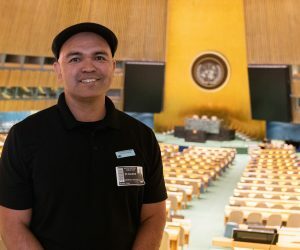 As a representative for the Augustinian Order at the United Nations, my understanding of dictators and autocratic regimes has become more personalized. I see more clearly the link between the bloody history of Central America and the migration of people to the U.S./Mexico border. I learned what you, dear reader, find objectionable: the scandalous involvement of U.S. administrations, in the name of its American citizens, and in the so-called fight against communism, in sacrificing human lives on the altars of business corporations throughout Central America. When I reflect back on those imagined bombings that first morning in Antigua, I realized it was a moment of grace. For a brief moment, I experienced what the martyrs might have experienced: the shock and fear, as well as the struggle to pray for the strength to stare into the darkness and to commit oneself into the hands of God. Through the eyes and experiences of the suffering poor and the martyrs, this retreat offers an opportunity to reflect on our faith, mission, and relationship with God. Personally, I learned more about my emptiness and poverty. I also recognize that mission embraces a radical dependence on the power of love. This is how I am “implicated” and this is what I must preach: expose the evil of the lie and welcome the poor, the stranger, and the refugee as the Crucified Christ seeking compassion and hospitality at our nation’s borders. The real border wall is the one erected in our mind and heart that shuts out questioning and forgets our history. Thomas Melville, Through a Glass Darkly. The U.S. Holocaust in Central America, 2005. 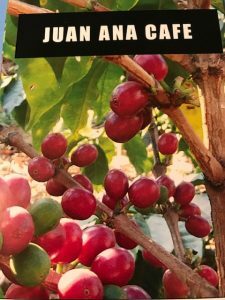 Juan Ana Cafe is processed with care from initial harvest to the roasting and packaging. 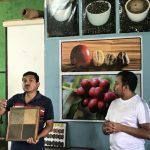 Our coffee is of the highest quality: grown in San Lucas Toliman with ideal climage, rich volcanic soil and altitude of 5,100 – 6000 feet. Véase la gallería de fotos aquí. El asombro me agitó el sueño profundo. Aunque no estaba seguro, me parecía que los estallidos sonaban como bombas o como alguna clase de explosivos. De nuevo, los sonidos como el estallido de truenos resquebrajaron el aire de la noche fría. Bam-bam-bam. Entonces, escuché el estrépito de camiones pesados que circulaban sobre el camino empedrado a las afueras de los muros de adobe de mi habitación. Los espantosos sonidos jugaron engañar a mi mente alerta. Me imaginé camiones que transportaban soldados con ametralladoras. Mi circulación sanguínea se tornó fría como el hielo, mi cuerpo entero con escalofríos por el miedo. “¿Estamos siendo atacados? ¿La armada matará a más civiles?”. Hice un acto de contrición, y, por un segundo, me pregunté por qué yo tenía tan poca fe. En la mañana, indagué sobre los estallidos que sonaron como bombas. Uno de los líderes del grupo dijo que los sonidos eran inofensivos, que se trataba de los acostumbrados fuegos artificiales que se utilizan para la celebración de un cumpleaños familiar. De este modo inició mi jornada espiritual de 10 días en enero de 2019 a Centro América. 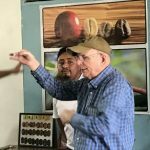 Los misioneros de Maryknoll organizan una peregrinación-retiro anual para el clero y los hermanos religiosos quienes caminarán las pisadas de los mártires de hoy en día en El Salvador y Guatemala. No pensamos en los mártires de esos días, aquellos hombres y mujeres del pasado que vivieron valientemente y murieron sirviendo a la gente y a la fe. Así como las estatuas y los vitrales de un templo, descubrí que los mártires se encuentran en la memoria de la comunidad. 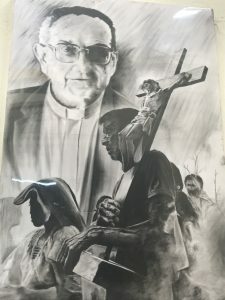 Nuestro grupo de peregrinación lo conformaron diecisiete participantes procedentes de diferentes lugares de los Estados Unidos y Canadá; y cinco misioneros Maryknoll quienes fueron nuestros guías y “testigos”, esto es, aquellos que conocieron y trabajaron personalmente con los mártires. El objetivo del retiro ofreció una oportunidad para reflexionar sobre nuestra fe, nuestra misión y la relación con Dios a través de los ojos y experiencias de los hombres y mujeres sufrientes y valientes que dieron sus vidas como un testimonio del Evangelio de Jesucristo. El derramamiento de sangre es el contexto; la escucha y observación son las actitudes que los participantes deberán adoptar en este retiro. En la primera mañana, partimos de la antigua ciudad colonial de nombre Antigua, en Guatemala, y viajamos seis horas con rumbo a El Salvador. 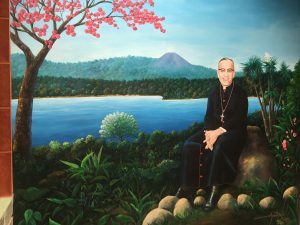 Ahí, llegando a la cátedral, pasamos a la capilla para visitar y rezar a la tumba del Arzobispo Oscar Romero, ahora santo, y la capilla donde fue asesinado por una bala de sicario. Después, nos dirigimos a un área desolada en el campo, lugar donde cuatro mujeres norteamericanas, practicantes y servidoras de la iglesia, fueron torturadas, violadas y ejecutadas en 1980. Más tarde, el equipo del retiro nos condujo a la Universidad de Centro América donde seis jesuitas, el ayudante de la casa y su hija adolescente fueron asesinados a media noche. Al final del día, nuestro grupo estaba emocionalmente exhausto de haber atestiguado tanto mal. 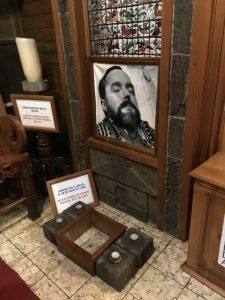 Yo me sentí paralizado y no sabía cómo o qué pensar, Desde luego, cada lugar que visitamos era un lugar sagrado, un “suelo santo” para ser venerado. Después de varios días de reflexionar sobre estos terribles sucesos, regresamos a Guatemala a un lugar que pudiera competir con el paraíso, pero donde, tanto lo bueno y lo malo persisten en el aire. Nuestra camioneta cruzó sobre el camino de la montaña que muestra el paisaje de un grande y profundo lago azul rodeado por los volcanes. 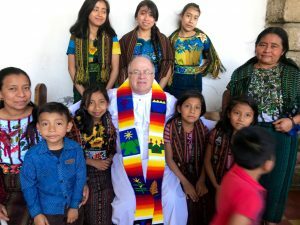 En la orilla del lago queda el pueblo de Santiago Atitlán, donde en 1981, el sacerdote de Oklahoma City, EU., el Padre Stan Rother, ahora beato y primer mártir norteamericano, dio su vida en favor de los indígenas mayas. Escuchamos los testimonios de sobrevivientes de las masacres, de las viudas que perdieron a sus esposos; testimonios de familiares que relataron el secuestro de miembros de sus familias a quienes nunca se les volvió a ver, cuyos restos mortales, se considera que permanecen en una fosa común. Aún hoy en día, muchas personas valientes y comprometidas con la justicia social, arriesgan sus vidas recogiendo evidencias e historias tanto de la población rural maya como de la oficina de la Iglesia en materia de los Derechos Humanos. Debemos preguntarnos: ¿qué sucedió? En Guatemala, la armada lanzó una campaña homicida de miedo y un reino de terror en contra de los nativos indefensos de las comunidades indígenas mayas. Trabajando siempre a media noche y con frenesí inhumano, los soldados irrumpen en los tejados de paja de las chozas, tirando las puertas, matando cualquier cosa que se mueva –los ancianos, las mujeres embarazadas y los infantes. La matanza se hace en el nombre del “anti-comunismo”, y con acusación sin fundamento de pudientes y ricos terratenientes, militares y líderes de negocios. El liderazgo de la Iglesia, desde los tiempos coloniales, a menudo del lado de la élite poderosa para proteger sus propios intereses. Los líderes y ministros católicos que ayudaron a los pobres en sus necesidades básicas y predicaron la justicia social fueron el blanco y etiquetados como “comunistas”. Un obispo, diecisiete sacerdotes y 2000 catequistas fueron masacrados por su trabajo con los pobres, y por actos considerados como “actividades subversivas”. Ellos habían cuestionado las causas que llevaron aumentar la extrema pobreza de las comunidades indígenas. A través del periodo de 35 años de guerra civil en Guatemala, con su clímax en los años 1981-1983, se llevaron a cabo 700 masacres de las cuales 250,000 personas inocentes, principalmente indígenas mayas, fueron asesinadas. Esta realidad es la historia escondida de Guatemala. ¿Por qué la armada masacró a su gente? ¿Qué fuerza a la mentira detrás de la historia escondida de tanto racismo y odio? La sistemática violencia de Guatemala inició en 1954 como una reacción en contra de “los Diez Años de la Primavera” – la reforma de tierras agrarias de las anteriores administraciones democráticamente electas. Ello fue el primer intento para llevar a Guatemala a la era moderna. Los signos del progreso tocaron las raíces. Los campesinos rurales cultivaron las tierras subdesarrolladas. Y, además, los pudientes, los pocos poderosos refutaron la dirección que el país estaba tomando. Ahí donde se prosperaba, acechaba el mal. Los mártires “dijeron la verdad al poder” y derramaron su sangre como testigos del Evangelio con su solidaridad hacia la gente a quienes ellos sirvieron. El antiguo teólogo latino Tertuliano escribió que la sangre de los mártires es la semilla de la Iglesia. Atestigüé a una parroquia viva con el espíritu de comunión y participación de Vaticano II, en Santiago Atitlán, lugar donde el beato Stan Rother sirvió con su ministerio y dio su vida. Él fue el “pastor que nunca dejó a sus ovejas”. Su corazón y su sangre están enterradas en el santuario de la parroquia; son también ellas las fuentes de vida y presencia en las creencias tradicionales mayas. Por tanto, también, es sangre para la Iglesia. ¿Qué he aprendido de esta experiencia de peregrinación? Para alguien quien es el representante de la Orden Agustina ante las Naciones Unidas, mi entendimiento sobre regímenes dictadores y autocráticos se ha tornado más personalizado. Veo más claramente el vínculo entre la historia sangrienta de Centro América y la migración de personas hacia la frontera de los Estados Unidos con México. Aprendí que tú, querido lector, puedas encontrar inaceptable: la escandalosa implicación de las administraciones de los Estados Unidos, en el nombre de sus ciudadanos, y en la tan nombrada “lucha contra el comunismo”, al sacrificar vidas humanas en los altares de las corporaciones mercantiles a lo largo y ancho de toda la región. Nosotros, como ciudadanos, debemos saber esta historia, la historia escondida. El frenesí de construir el muro en la frontera sur de los Estados Unidos es un intento de no prestar atención y borrar para siempre esa historia. Como dijo el filósofo norteamericano George Santayana: “Aquellos quienes no pueden recordar el pasado están condenados a repetirlo”. Esta es una manera diferente de vivir un retiro/peregrinación: te implicarás en su martirio, las masacres de aquellos que murieron, con aquellos quienes sobrevivieron y viven con el martirio diario de los pobres. Te atreviste a caminar con ellos; estás implicado. Ahora, puedes contar su historia; ahora puedes decir tu historia. Cuando vuelvo a reflexionar en aquellas bombas imaginarias de aquella primera mañana en Antigua, me doy cuenta que fue un momento de gracia. Por un breve instante, experimenté lo que los mártires pudieron haber experimentado: el asombro y el miedo, así como también la lucha y la prueba para orar por la fortaleza para mirar fijamente a la oscuridad y confiarme en las manos de Dios. Quizás esto es lo que más aprendí de los pobres: mi propio vacío y pobreza sumadas a la búsqueda de la dependencia radical del poder del amor. Esto es cómo yo estoy “implicado” y esto es lo que yo debo predicar: exponer el mal de la mentira y dar la bienvenida al pobre “crucificado” que busca compasión y hospitalidad en las fronteras de nuestra nación. El verdadero y real muro de frontera es aquél levantado en nuestra mente y corazón, aquél que rechaza preguntar y olvida nuestra historia. 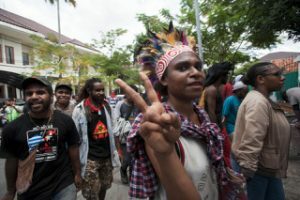 A new section on Indonesia and the human rights conflict in West Papua has been added under the tab “Projects.” Consult this section on indigenous rights and environmental abuse caused by mining and logging companies. CLICK HERE. 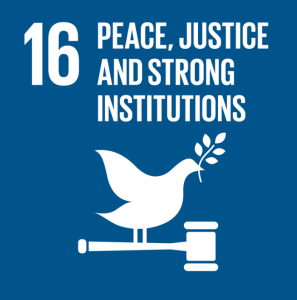 Should the Augustinians adopt Sustainable Development Goal #16?